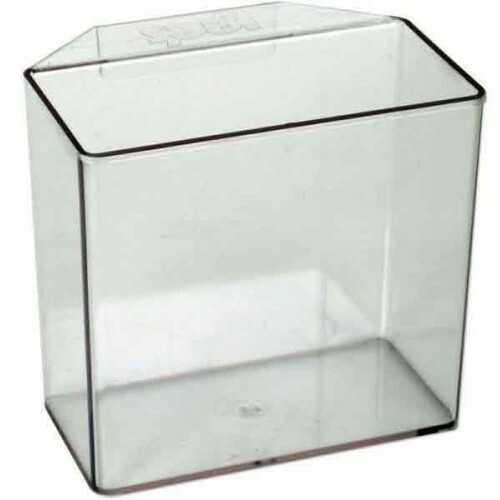 Lee’s specimen container is a multi-purpose, clear container with a 1" wide hanger that can be hung on the side of the aquarium to be used as a holding tank while catching fish. The container can be used for observing sick or injured fish. The Lee’s specimen container can also be used to house fish during medication treatments along with housing pregnant fish. After use the container can used to store medication, loose parts and water conditioners. 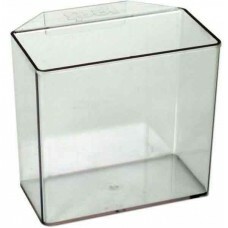 The container is made of clear plastic of easy observation of livestock and will give you years of long lasting use. As a treatment tank for sick fish, less medication would be required. In addition, it can be hung on the inside of the aquarium to utilize the benefits of the aquarium heater. The Convalescent Home/Specimen Container may also be used to observe prospective purchases or suspected sick or pregnant fish.